When investors are asked about securities margin it's usually Reg T margin that comes to mind. Reg T is a Federal Reserve regulation that governs the extension of credit by brokers to their clients for the purposes of engaging in securities transactions. Reg T has very specific limits (such as a 50% initial margin requirement for equity transactions). It also grants your broker the authority to liquidate your positions should a breach in margin occur. For several decades Reg T was the only margin system available to US retail investors. This changed when the SEC ushered in sweeping changes to margin regulations in 2007 (see here for the regulatory timeline). The new system - known as "Portfolio Margin" - provides significant advantages over Reg T and lowers capital requirements for various trades, especially for trades in well hedged or well diversified portfolios. Portfolio Margin is a type of margin system designed to better align margin requirements with the actual risk of the portfolio. Retail investors benefit greatly from this change as Portfolio Margin almost always results in significantly reduced margin requirements, thus opening the door to investment strategies that were previously the sole purview of large institutional investors. A growing list of full service and discount brokers now offer portfolio margin accounts. To qualify, individual investors must have at least $100,000 USD (some brokers require $150,000) net equity in their account. Of course, this is in addition to the standard requirements for a Reg T margin account. In 2007 the US SEC approved the wide spread use of Portfolio Margin by US brokers. Retail investors now have access to trading strategies that were previously only available to institutional investors. To better understand portfolio margin it's useful to review what margin requirements are actually trying to achieve. Federal regulations governing margin requirements were enacted in response to the ballooning in credit that preceded the great Wall St. Crash of 1929. After the crash, the Fed realized that it needed to better control the amount of credit used by investors. 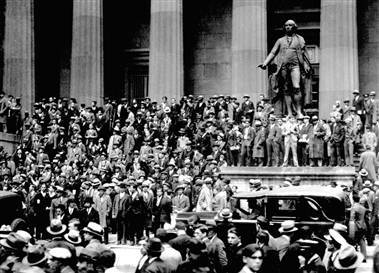 The scene on Wall St right after The Great Market Crash of 1929. The lack of government mandated limits on margin were an important factor in the run-up and subsequent crash in the market. A system was devised to set limits on the amount of credit a broker could extend to a client. Through this system, the Federal Reserve is able to exert control on the aggregate amount of credit used for securities purchases. The theory here is that margin regulations act as a stabilizing force on the market by thwarting excessive borrowing. If left unchecked (as it did in the late 1920's), borrowing eventually leads to speculative bubbles in asset prices. Federally mandated margin regulations also had the affect of placing restrictions on broker-dealers, who - in the absence of strict guidelines on credit - might be tempted to lower margin requirements in order to win business. Such reckless actions could inject systemic risk into the broker-dealer industry (brokers are ultimately on the hook for excess losses on client margin accounts). This is clearly a situation the Federal Reserve wants to avoid. "It's important to recognize that Reg T and its predecessors were promulgated at a time when sophisticated risk models and powerful real-time computation were science fiction." The goal of limiting borrowing and curbing dangerous loan practices can be achieved using a number of different types of margin systems. Reg T is a system that focuses on position level financing (or strategy level financing in the case of options). Since each position is viewed in isolation and without discrimination, Reg T is very effective yet also very naive. It's important to recognize that Reg T and its predecessors were promulgated at a time when sophisticated risk models and powerful real-time computation were science fiction. As a result, Reg T needed to be exceedingly easy to understand, compute and enforce. What makes Reg T naive is that it's unable to recognize that borrowing doesn't always equate to risk. An investor who borrows 50% to buy a penny technology stock has clearly taken on more risk than an investor who borrows the same amount to buy a diversified exchange traded fund (such as an S&P 500 ETF). Yet Reg T doesn't distinguish between the two. Advances in technology during the past 15 years meant that margin systems could now be more tightly aligned with risk thus alleviating the situation described above. 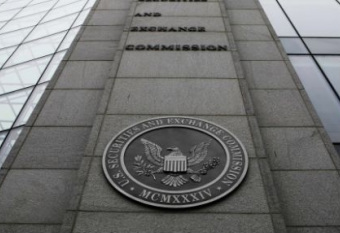 Concurrently, US regulators began to grow concerned over the increasing number of sophisticated investors (especially hedge funds) who circumvented Reg T and regulator scrutiny by relocating their trading business offshore. Stemming this trend became the major impetus for US regulators to consider more sophisticated "risk-based" margin systems. Risk-based margin systems attempt to set margin requirements based on the overall risk of the portfolio. Portfolio Margin is a type of risk-based margin system. There is no difference between initial margin and maintenance margin. There is only one number that defines the margin requirement. Single stock equities have a margin of 15% (provided that it's not a highly illiquid or highly concentrated position) . Complex options positions benefit greatly as they are evaluated together. Investors in well diversified ETFs can have margin requirements as low as 8%. The following is a summary of some key differences between Reg T and Portfolio Margin. Position and strategy based (for options) margin. Conservative portfolios have the same margin requirements as risky portfolios. Differing initial and maintenance margin requirements which means that additional capital is needed to enter the position. 50% initial margin, 25% maintenance margin. Does not account for correlation between similar types of indexes or ETFs. Portfolio and Risk based margin. Conservative portfolios have lower margin requirements compared to risker portfolios. Initial and maintenance margin requirements are the same. There is no additional capital needed to enter a position. Margin can range from 8% for ETFs to 15% for equities. Accounts for correlation between similar types of indexes and ETFs. How is Portfolio Margin Calculated? Organize the portfolio into groups based on underlying. Each underlying along with the options associated with it will be in its own group. Stress test each underlying across a range of market moves. More volatile underlyings such as individual stocks or sector indexes have bigger market moves applied to them in comparison to less volatile, well diversified indexes. Calculate the hypothetical P&L for each group under each scenario. Combine the scenario P&Ls to different groups based on a table of offsets. Groups with underlyings that are highly correlated and similar tend to have higher offsets. The largest loss found across all the scenarios and after applying all the offsets is the margin requirement. A detailed description of the methodology can be found here. Portfolio Margin is a risk-based margin system that has significant advantages over Reg T. The margin requirements for most investment strategies are much lower under Portfolio Margin and therefore new types of investment strategies are now available to retail investors. Investment portfolios with ETF or options positions benefit the most.